As we make our way through Q1 of 2019, let’s look back on 2018 and analyze how exit activity for blockchain technology compares to previous years. The graphic below shows total annual blockchain technology exit events over time. 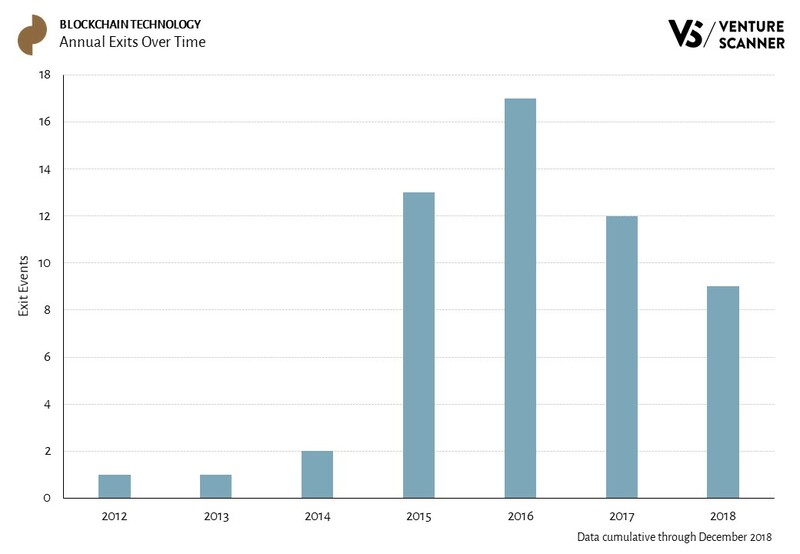 As the graphic demonstrates, 2018 saw a drop in blockchain technology exit activity compared to the previous year. The 9 exit events in 2018 represent a 25% decrease from the 12 exit events in 2017 and a 47% decrease from the 17 exit events in 2016, which was the highest year on record for exit activity. Some of the exit events in 2018 include Poloniex’s acquisition by Circle for $400M, Earn.com’s acquisition by Coinbase for $120M, and Coincheck’s acquisition by Monex Group for $33.6M. 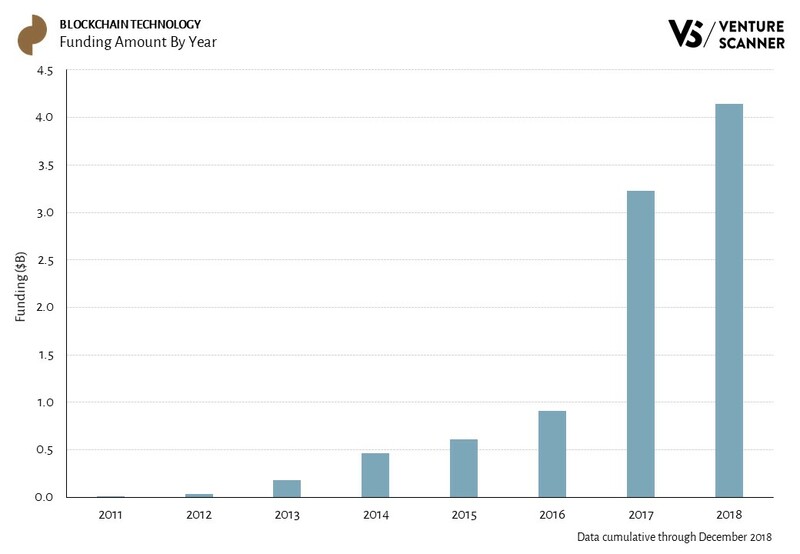 We previously highlighted that blockchain technology saw its highest Q2 funding ever in 2018. 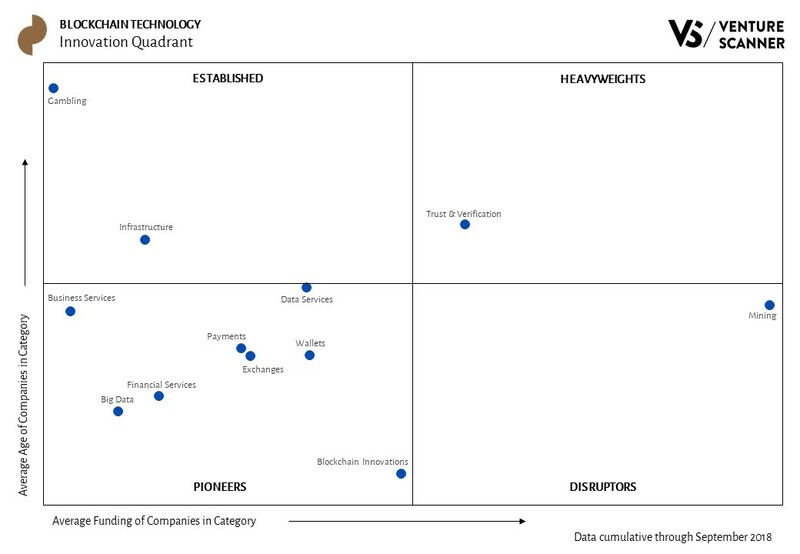 This blog post will take a closer look at the trends within the individual blockchain technology categories. 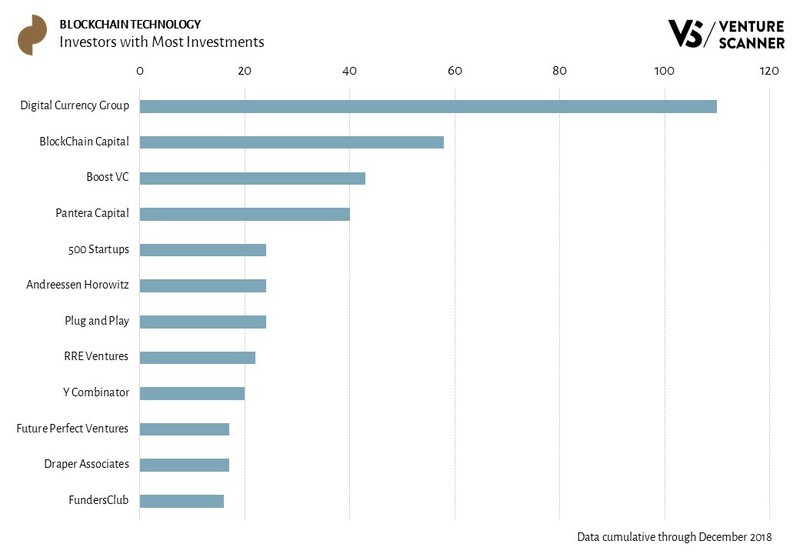 Per our analysis, we can say that the Blockchain Innovations category is the unequivocal funding leader. We’ll discuss this with some charts below. Blockchain Innovations category contains companies that are working on blockchain distributed ledger technologies. Examples include increased speed for financial transactions, smart self-enforcing contracts, and cross-blockchain interoperability. Some example companies in this category include Blockstream, Filecoin, Blockstack, and Ripple. 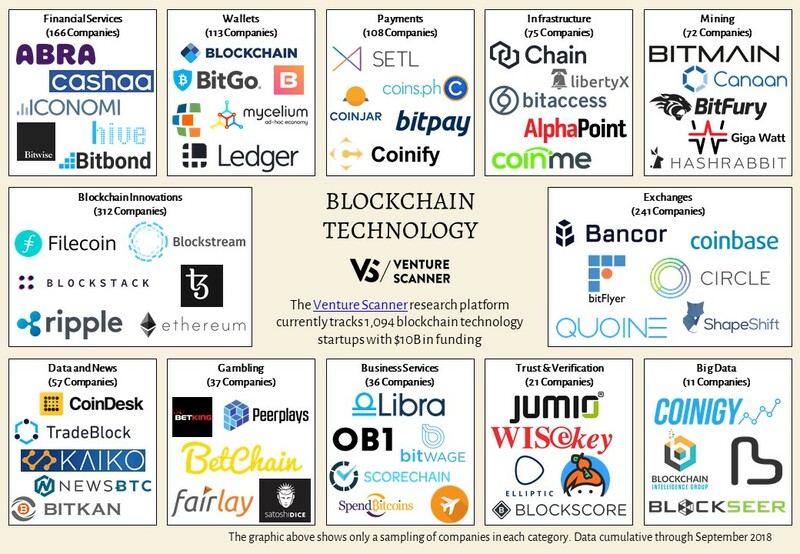 Let’s now investigate how the blockchain technology categories’ funding compare with each other historically. 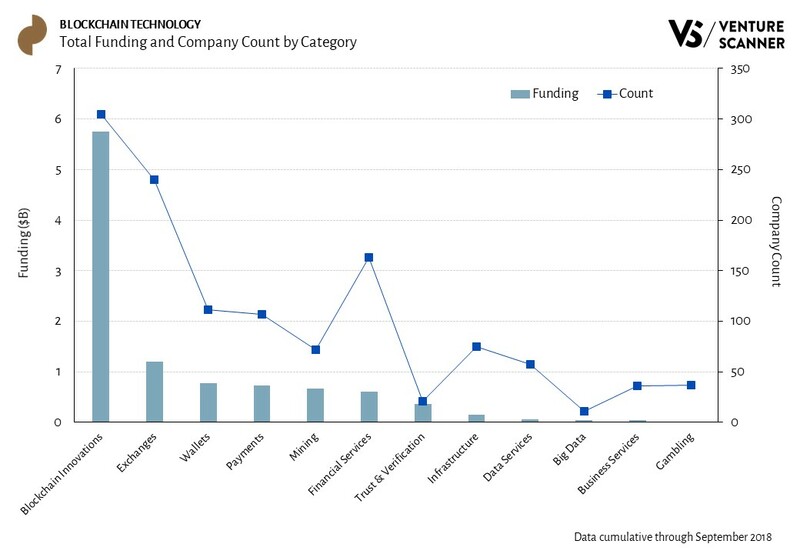 The graph below shows the all-time funding for the various blockchain technology categories. 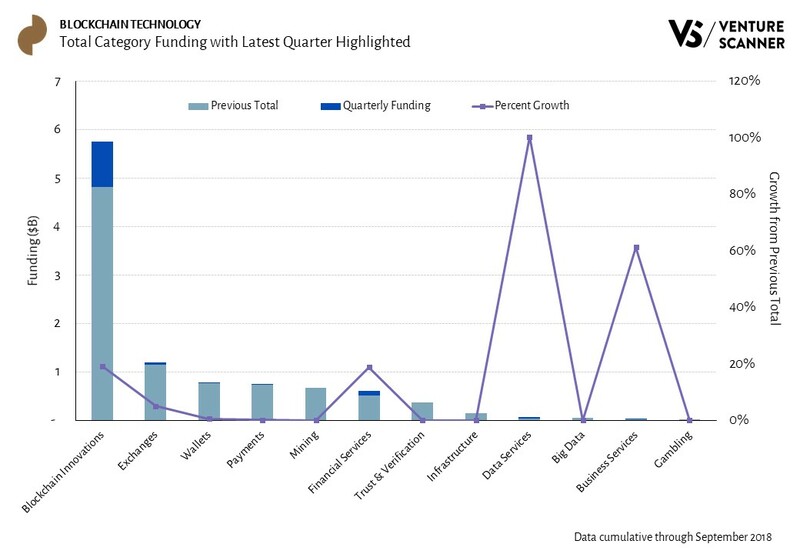 The Q3 funding and growth rates of these categories are also highlighted. 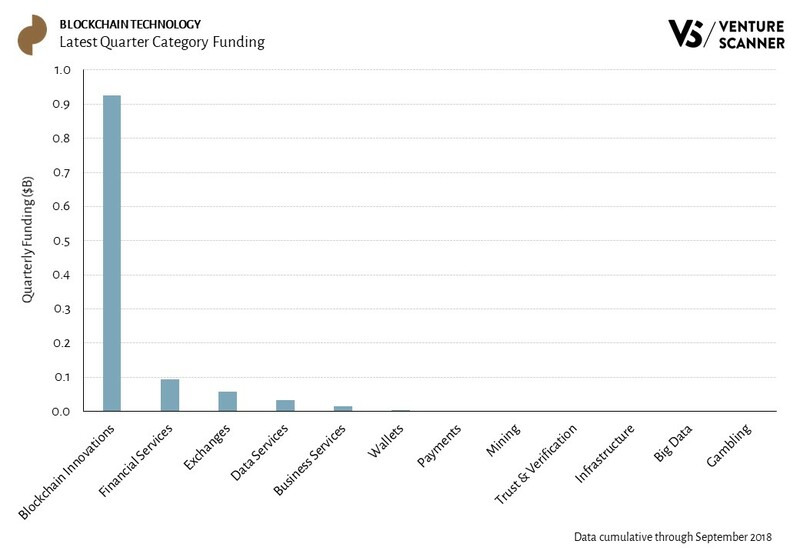 As the bar graph indicates, the Blockchain Innovations category also leads in total funding at $5.7B. Its funding is almost 5 times the funding of the next category, Exchanges at $1.2B. In summary, the Blockchain Innovations category is the indisputable funding leader in the sector!